Marchon Eyewear is a United States-based manufacturer and distributor of eyewear and sunglasses. Founded in 1983, the company's portfolio includes several licensed brands (Calvin Klein, G-Star Raw, Nike Vision, Valentino, Ferragamo, among many others) in addition to its own house brands. Marchon is shaped by New York, the city is in their DNA. It’s where they draw their inspiration and what sets them apart. 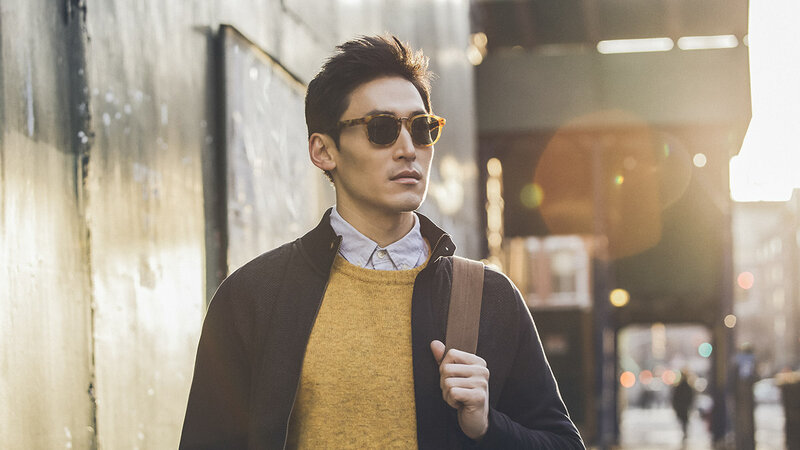 They don’t only manufacture and distribute eyewear and sunglasses, but they also work together with some of the biggest names in fashion and sports to design eyewear that’s as functional as it is fashionable. 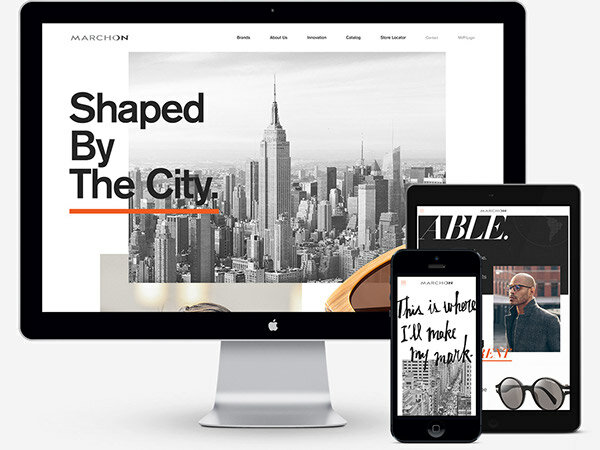 Because Marchon is shaped by New York, that was also our inspiration source for their new website. Clean and organised, but with a rough edge, inspired by the streets, its people and with a focus on the product. 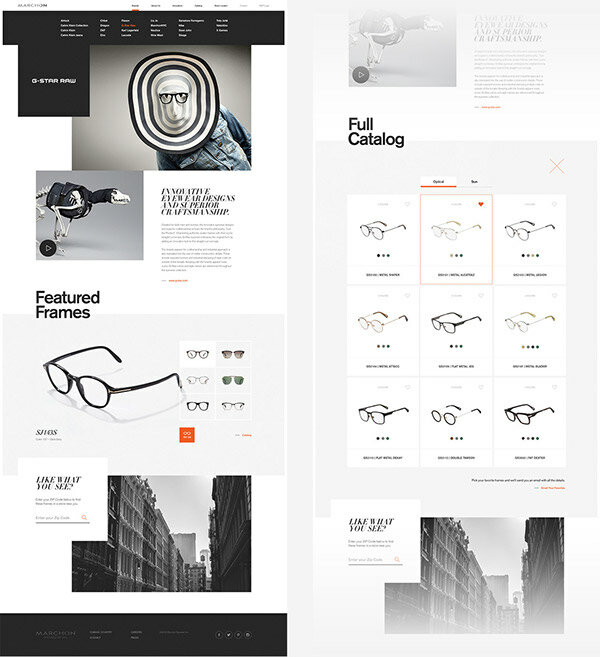 Using the latest techniques we delivered a retina ready responsive website from desktop down to mobile. For some of the sections like Brands, Innovation Case Studies and the Blog, we created templates so the client could easily create new pages via the CMS. 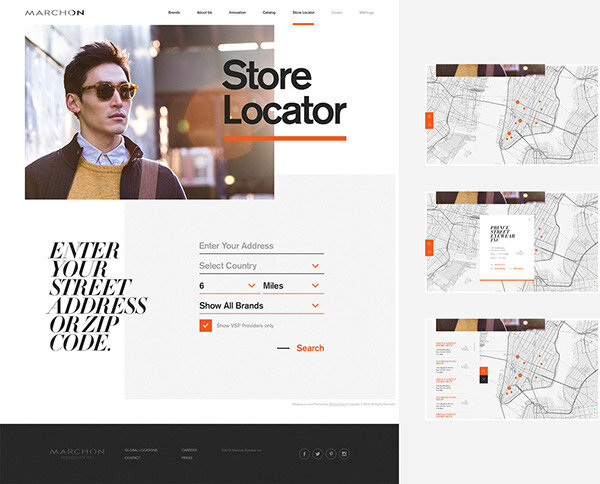 Other sections re-used elements and components but also some sections that are shown below are completely unique on their own and focused on one action, for example finding a store or getting in contact. We kicked off the project with a workshop together with the client to determine how we’re going to tell their story and how to split this up into multiple sections. Not only did we design the website, but we also advised on product photography and art directed a lifestyle photo shoot to display the client’s product. This started with a visual exploration, to picking a photographer, locations, models, eyewear, make up, clothing and selecting and retouching the final shots. 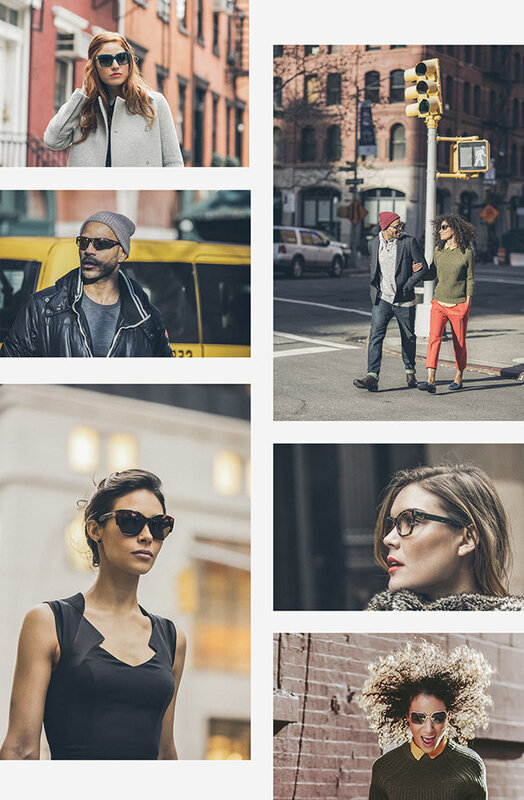 Marchon Eyewear is a United States-based manufacturer and distributor of eyewear and sunglasses. Founded in 1983, the company's portfolio includes several licensed brands (Calvin Klein, G-Star Raw, Nike Vision, Valentino, Ferragamo, among many others) in addition to its own house brands. Marchon is shaped by New York, the city is in their DNA. It’s where they draw their inspiration and what sets them apart. 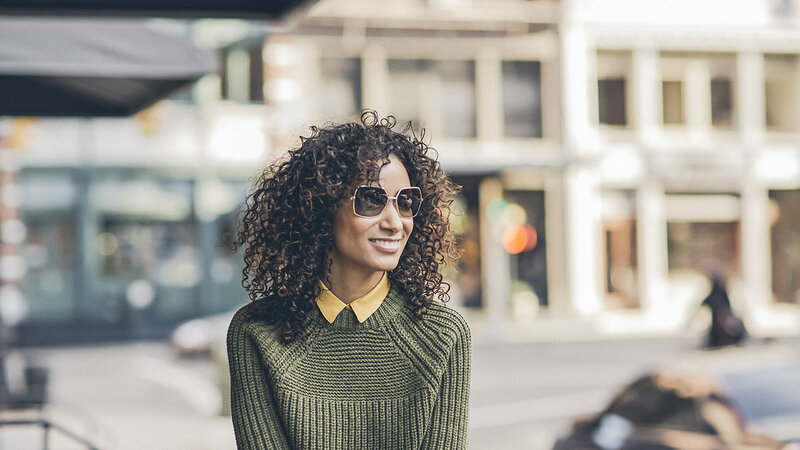 They don’t only manufacture and distribute eyewear and sunglasses, but they also work together with some of the biggest names in fashion and sports to design eyewear that’s as functional as it is fashionable. 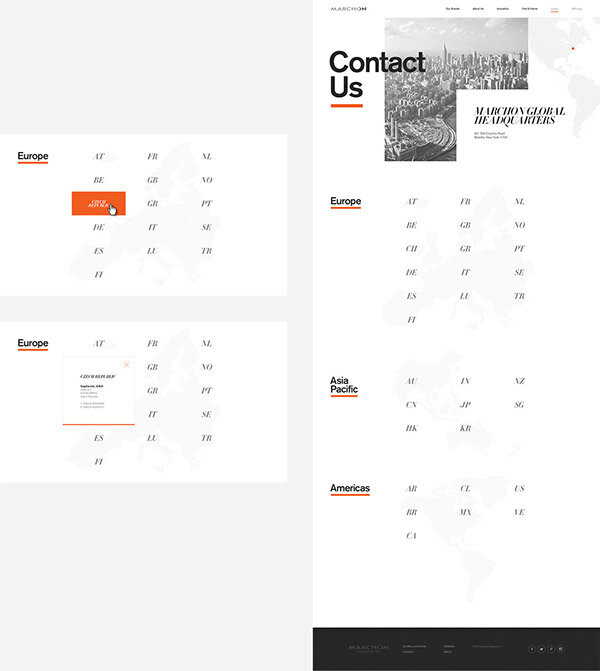 Because Marchon is shaped by New York, that was also our inspiration source for their new website. Clean and organised, but with a rough edge, inspired by the streets, its people and with a focus on the product. Using the latest techniques we delivered a retina ready responsive website from desktop down to mobile.